Recently re-developed and now presenting itself to the market with a new building structure, is the prominent commercial property of 81-83 King Dinuzulu (Berea) Road Durban. 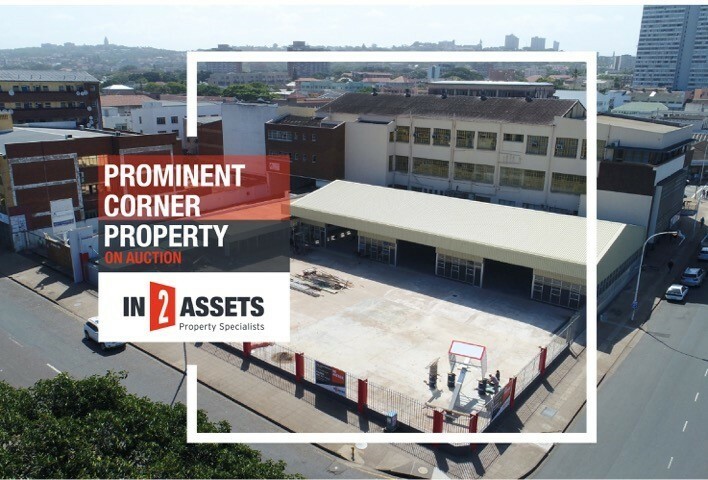 This well positioned trading spot right at the corner of Berea and Gale Street is readily waiting for a new owner, says Rainer Stenzhorn of In2Assets the Durban based commercial & Industrial Marketing Company. Due to its perfect location, the property lent itself to many type of business operations. The 713m² trading or showroom area, complimented by a concrete surfaced parking area of about 1200m², is ideal for a Cash & Carry, Supermarket, Car Dealer, Hardware, Wholesaler or even a Church continued Stenzhorn further. Due to its proximity to the Durban Harbour, the property is also well suited for a Logistic Company or as a distribution centre. The property is for sale by public auction on the 21st of February 2018. To view the property and for more information, contact Rainer Stenzhorn of In2assets.